‘M3M Golf Estate’ is the largest luxury condominium project in Gurgaon. Designed by Arcop International, Montreal Canada, the project will surely change the way luxury is created and lived. With high end specifications and amenities comparable to finest 7-star resorts, the project attracts like-minded business community. Do you love golf, but don’t have time? M3M brings you the finest golf resort living, a designer apartment which will take you back to the world of golfing! M3M offers a luxury apartment right on the lines of a golf course. This is a 7 star luxury project. The apartment is spread across 75 acres of vast land. 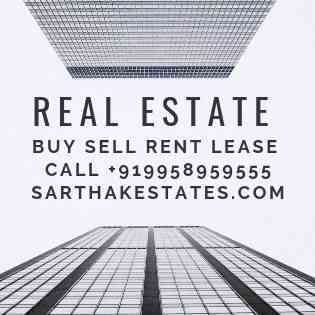 Located in Gurgaon sector 65, Gold Couse Extension Road, it is combination of high rise and low rise towers, imperial duplex and triplex penthouses comprising of 3, 4 and 5 BHK. The concept is unique and new of its kind. All apartments come with den and servant quarters. The 3 BHK ranges from 3005 sq. ft. to 3665 sq. ft. Two variants of 4 BHK are sized at 4785 sq. ft. and 5685 sq. ft., while 5 BHK ranges from 5685 sq. ft. to 5900 sq. ft. The construction is in full swing and will be ready for possession in August 2016. The amenities offered are roof top jogging track, golf course facing apartment, a 9- hole reversible golf course, and eco-friendly lush green landscapes, large open balconies for that unobstructed viewing, world class club house and all towers are on 8.5 m stilt. The sprawling apartments are designed by Canadian firm Arcop International. All the towers are designed in such a way, that it attracts ample ventilation and natural sun light. M3M golf estate has over 1, 25,000 sq. ft. large club which gives you the feeling of a resort. Apart from other amenities, the apartment plans to have multi cuisine restaurants, library, swimming pool, international spa, fitness trails, private art gallery, a unisex gym and salon, aerobics studio, dance studio, cigar lounges, snooker/billiards room, temperature controlled pool, amphitheatre and multiple recreational areas. Kids can enjoy freely at kids pool, toddler water play, swings and climbing frames, kids crèche with tot-lots, see-saws and baby sliders,. For those looking for some adventure can use adventure play zone. There is dedicated cycle track, sports hall, yoga and dance room, and variety of indoor games like table tennis, squash, and snooker rooms, video game room which will take you to the world of virtual reality, mini theatre, shopping zone, doctor and concierge on call. M3M golf estate is conveniently located on Southern Peripheral road which is also the Golf course extension road. It is one of the widest roads in Gurgaon and also recently announced as NH 236. 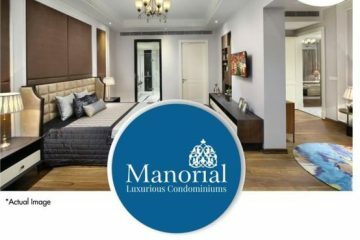 All major landmarks are within easy access from this apartment like 30 minutes’ drive from Delhi International Airport, 10 – 15 minutes from major shopping outlets, schools, colleges and health care facilities like Medanta Medicity, Fortis &amp; Max Hospital which are the best medical centres in Delhi-NCR. M3M is the one of the trusted brand in real estate field. M3M stands for &#39;Magnificence in theTrinity of Men, Materials &amp; Money&#39;. Its offers unmatchable style and symphony to any project, they are associated with. The company strives to give the best to its customers. M3M has been active in constructing commercial hubs, finest golf resort living and residences. They have reputation of delivering their projects to their customers on time. Their projects are mainly in Gurgaon and include M3M Panorama Suites, M3M Cosmo plus, M3M Woodshire, M3M Royal Regalia among others. Keeping its tradition alive by winning awards and accolades, they are recipient of ‘Best Group Housing’, ‘ET Realty Convention’, ‘Realty plus Excellence Award’ and many more. Experience the world class dream of staying in luxurious M3M golf Estate Resort surrounded by serene greenery and finest amenities, which you can avail at your door step. Start your day the healthy way and live everyday a life you had always dreamed about! The Luxury Apartments from M3M India Private Limited @ M3M Golf Estate.Located on Golf Course road Gurgaon . 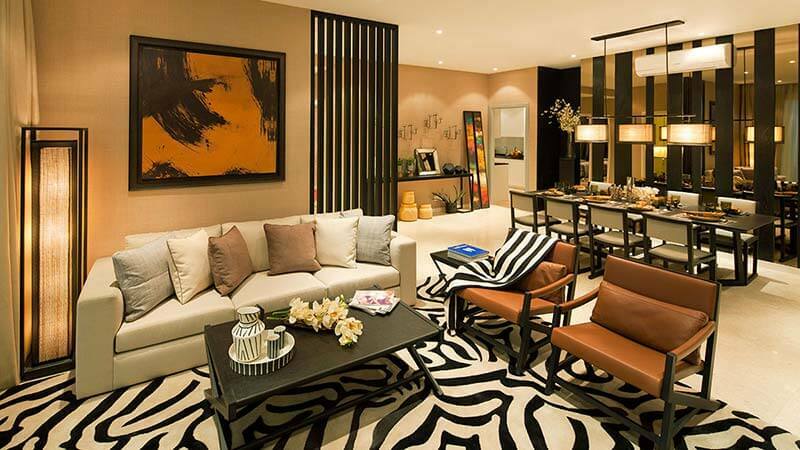 M3M Golf Estate boasts of luxury apartments built around a 9-hole executive golf course. M3M group is a Renowned real estate developer with 2000 acres of land bank in the high-growth corridors of NCR with Presence in all real estate verticals i.e. residential, commercial, Education institutions, IT SEZ, entertainment & hospitality. We are a 100% Debt free company with Seasoned and professional senior management team at the helm from some of the most reputable names in Real Estate, Financial Services and Consultancy sectors. We have over two decades of real estate presence in the NCR and have been awarded for path breaking project concepts and designs in the luxury real estate segment. ü Rooftop Jogging track of 250 meters. ü Master Suites, Living room, main balcony in all units overlooking the Golf Themed Central landscape. ü Verdant greens and water bodies to create a truly resort living experience. ü 3-Tier security for your complete peace of mind. ü Lavish balconies with 6’to 10’width, which would serve as your extended living spaces – your own private Golf Living Experience. There are a multitude of payment plans available to cater to varying requirements of the customers, these include the Down-Payment Plan,Subvention Plan and Construction Linked Payment Plan. Home Finance options are available from all the major lenders including Nationalized as well as PSU Banks.